That's one sick bird we're talking about. As economist David Rosenberg advises selling the Canadian dollar when it shows some strength, other analysts are cutting their forecasts for the currency. JPMorgan Chase, for example, just trimmed its projections, and is now looking for a dip in the second and third quarters of 2019 before a pickup as the year winds down. Even that pickup, though, wouldn't put the currency much above 75 US cents. This comes amid troubling economic signals and a Bank of Canada that has no immediate plans to raise interest rates again, a move that would be loonie-friendly. Mr. Rosenberg, chief economist at Gluskin Sheff + Associates, was referring foremost to the latest Statistics Canada report on household debt and wealth. The debt part of that is something that will help stay the Bank of Canada’s hand because of what higher interest rates would mean for the vulnerability of consumers and the financial system. That report Friday put the key measure of household debt to disposable income at a record 178.5 per cent, on a seasonally adjusted basis, in the fourth quarter. Simply put, we owe about $1.79 for each dollar of the income at our disposal. “To be sure, this metric has remained fairly constant over the last three years but remains a pervasive financial stability risk," Mr. Rosenberg said. Added to that was a rise in the debt service ratio and a decline in household wealth, not a pretty picture, though a rebound in stock prices since the final quarter of 2018 should help somewhat. Of course, this all plays out in our household budgets, and is expected to mean a pullback in consumer spending. “Another big headwind for consumption has been the negative wealth effect caused by declining equity and real estate prices," Mr. Rosenberg said. "In fact, the fourth quarter saw the largest ever falloff in household net worth (a massive $304-billion), which pushed the year-over-year trend into negative terrain for the first time since 2009." Referring to the Canadian dollar by its symbol, JPMorgan said it "doubled down on our bearish CAD views" for a few reasons. They include the soft economic backdrop, oil market issues and potential delays in final approval for the proposed new Canada-U.S.-Mexico trade deal, some of which could affect the market's thinking as to when the Bank of Canada will boost rates again. “We still expect CAD to ultimately strengthen into yearend and into [the first quarter of 2020], but to a lesser extent than previous given the BoC’s indefinite pause plus new negative developments in the local oil sector, which will likely challenge investors’ willingness to price in both a 4Q’19 and 1Q'20 hike (which our economists now call for), even if USMCA has been ratified,” global foreign exchange strategist Daniel Hui and his colleague at JPMorgan, Patrick Locke, said in their outlook. Mr. Hui and Mr. Locke now put the loonie at about 74 US cents in the second quarter and 73.5 in the third, before the yearend rise and a pop above 76 in a year. "Canada is also enduring a dramatic domestic political crisis, an unwelcome distraction during a period peppered with important geopolitical ongoings and with federal elections visible on the horizon," Mr. Hui and Mr. Locke said, referring to the fallout from the SNC-Lavalin affair. Bank of Nova Scotia analysts believe “there is limited scope for the CAD to improve further” at this point despite a “decent rebound” last week. "While crude oil prices are grinding higher, wide U.S.-Canada spreads have the handbrake fully engaged on the CAD," said chief foreign exchange strategist Shaun Osborne and strategist Eric Theoret. "The broader CAD fundamental backdrop is not wholly negative, however; data trends remain CAD-positive in the sense that U.S. data disappointments far outweigh the improving trend in Canadian data surprises," they added in their report. 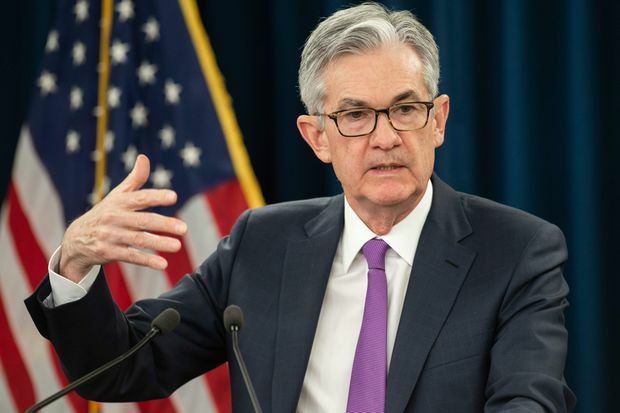 The U.S. central bank is expected to hold the key fed funds rate steady Wednesday after having signalled a pause in its hiking cycle. The Fed decision is just one of some key things to watch for this week. Notable, too, of course, are the federal and Quebec budgets, and whatever twists and turns Brexit happens to take. Statistics Canada's January report on international securities transaction will be worth scouring for signs of foreign investors shying away from Canadian assets even further. Europe reports trade numbers, and Tilray Inc. posts quarterly results. 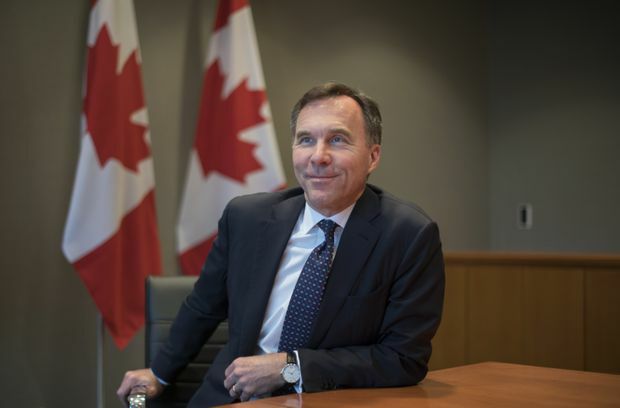 Finance Minister Bill Morneau and the federal Liberals are hurtling toward an election campaign. At the same time, his finances have been much better than expected. Expect some goodies, then, when Mr. Morneau unveils his pre-election budget after markets close. "After all, it had no trouble boosting spending by an average of 6.5 per cent annually while the political and economic winds were blowing favourably," he added. "With storm clouds appearing, in the form of weaker-than-expected domestic economic growth, we doubt the finance minister will change course. That’s not to say the minister has no scope to print a smaller deficit." 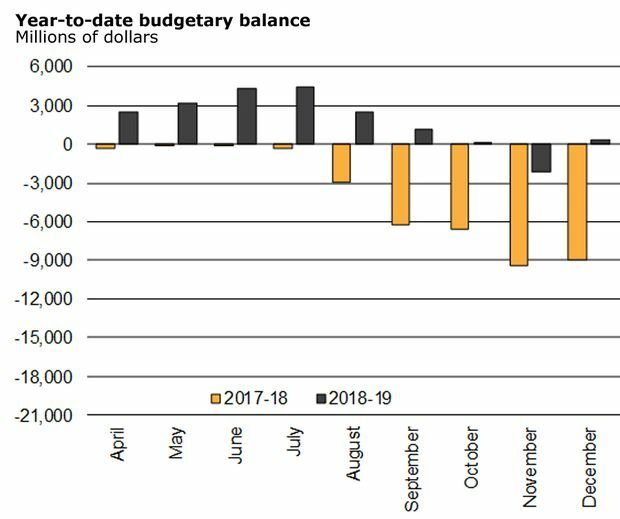 The government has already posted a small surplus for the first few months of the fiscal year, thanks to greater-than-projected revenue. Economists expect to see at least talk of a pharmacare program in the budget, as well as work on child care and measures to help young people buy homes. "Potential targets could include those middle- and low-income families that get the Child Benefit, millennial home buyers, those saving for skills training, and those lacking prescription drug plans through their workplace," CIBC's Mr. Shenfeld said. "Each of the last two items are tricky to execute," he added. On the corporate front, watch for results from Alimentation Couche-Tard Inc. Besides the Fed decision, Power Corp, Power Financial Corp. and Westshore Terminals Investment Corp. report results. A big day, this, given Brexit. European Union officials begin a two-day meeting in the wake of last week’s British Parliamentary votes and ahead of what is, at this point barring an extension, the March 29 date for Britain’s divorce from the EU. Parliament has rejected Prime Minister Theresa May's divorce deal, but also doesn't want to quit the EU without an agreement, triggering a so-called hard Brexit. "There is no guarantee that the EU will grant an extension if there is no specific endpoint," said CMC Markets chief analyst Michael Hewson. "With Theresa May set to give her battered deal another go, we could see a short extension if she succeeds, or a much longer one with loads of conditions attached if the deal falls again," he added. "EU leaders will need to tread carefully given that the 'no-deal" option is still the default option whatever MPs might have agreed this week." At the same time, the Bank of England unveils its rate decision, and is expected to hold the line. "With less than two weeks to go until Brexit it will surprise no one that no change to monetary policy is expected this week," Mr. Hewson said. "The Bank of England has already indicated that it is prepared as it can be ahead of the end of the month, with the next move in interest rates still skewed to the downside in the event of a disruptive exit," he added. "In the event we do get a deal, the outlook for the economy would still be uncertain given the weakness in the global economy, particularly in Europe." Keep an eye on shares of Nike Inc. as it reports quarterly results after what CMC's Mr. Hewson called "some rather high-profile equipment failures" related to basketball shoes. "Having hit an all-time high in February, the glide path for Nike’s share price has been pretty much one way since the strong rebound from the December lows," Mr. Hewson said. We'll get readings of the manufacturing sector from around the world, while Japan also reports inflation numbers. Statistics Canada, meanwhile, releases February inflation numbers and its January retail sales report. Economists expect to see that consumer prices rose 0.5 or 0.6 per cent from a month earlier, with annual inflation holding steady at 1.4 per cent or ticking up to 1.5. Retail sales are believed to have gained 0.4 per cent.